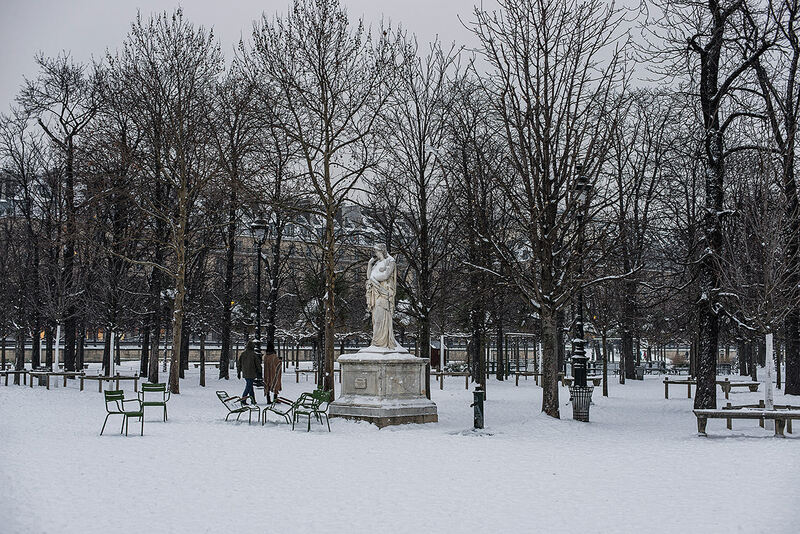 In Paris, the Tuileries garden is completely covered of snow. A snowstorm hit the city of Paris on 18, 19 and 20 January 2013. 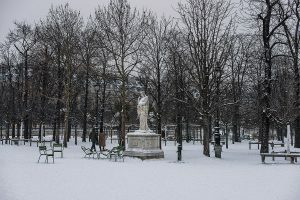 A couple is walking in the snow in the Tuileries gardens covered by heavy snow. Une tempête de neige s’est abattue sur la ville de Paris les 18, 19 et 20 janvier 2013. Un couple marche dans la neige dans le jardin des Tuileries recouvert de neige.